Transposition is a collection of pieces put together in conjunction with Landmark Arts & Cultural Exchange, an American group that helps coordinate opportunities for important contemporary arts and artists to travel between countries and facilitates for meaningful cultural exchange. The Transposition works display this freedom, featuring an array of subjects, moods, and methods, from landscapes to figures, the deeply personal to the cautiously socio-political, and the serious and contemplative to the whimsical and ironic, all presented in varying degrees of realism and abstraction. 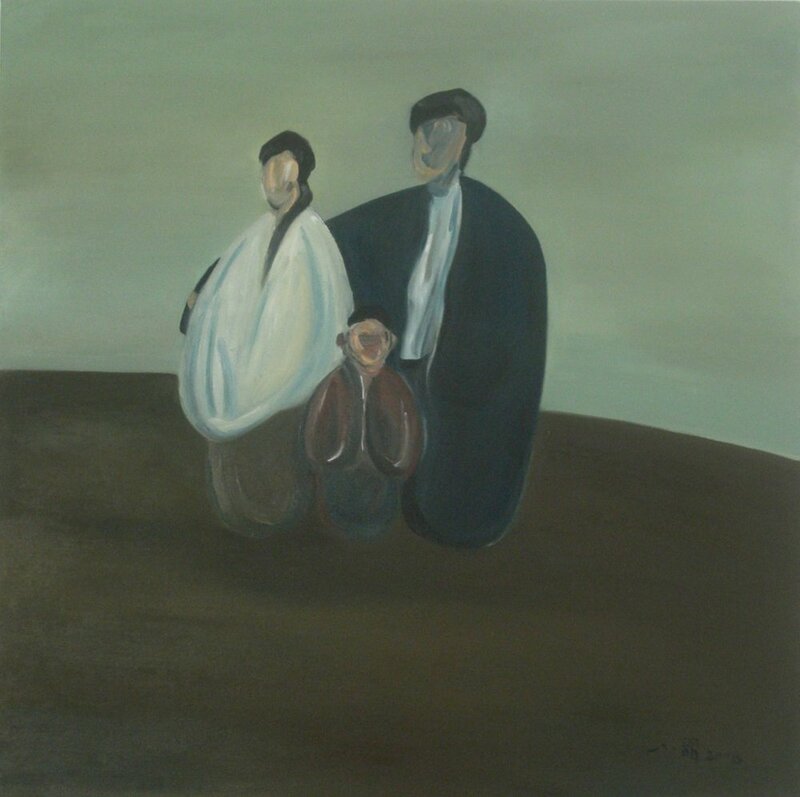 Working in oils, the artists maintain a conscious connection to Chinese ink painting traditions while utilizing modes familiar in Western art such as naturalism, expressionism, and surrealism.